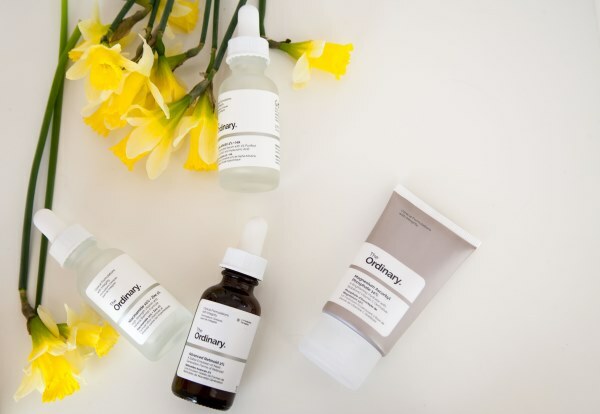 The Ordinary is a relatively new skincare brand that did something so radical that it caught everyone’s attention. It showed that you can make effective skincare products at affordable prices. I realize that the internet is full of reviews of these products, but since I have tested them for over a year, I feel confident to give my opinion on the results. I also would like to share a few sample routines. Deciding how to use The Ordinary is something I found difficult in the beginning. My skin is combination, and it can be capricious. The brand promotes its products as inexpensive, and while it’s true that many are under $10, the collection is enormous and if you buy everything indiscriminately you can easily spend a hefty sum. So which products to get? In what order to apply? How to combine several serums into one routine? The Ordinary skincare products don’t fall into the usual toning, firming, hydrating categories, so figuring out how to use them–and how to maximize their benefits–took some research. The Ordinary website gives a few regimen suggestions, but it still left me slightly confused. Below is what worked out best for me, although it’s by no means the only way to use The Ordinary. Alpha Arbutin is an excellent ingredient to reduce skin pigmentation or spots, and this serum has a gel-like texture. It absorbs easily into the skin and it can be layered with another serum or moisturizer. I wear sunscreen daily, but even so, the effects of this serum coupled with Niacinamide 10% + Zinc 1% (below) were obvious. After two months of continuous use, I noticed that my skin looked even toned and bright. I’ve been asked what foundation I wore when I had nothing at all on my face apart from my usual sunscreen. Sample routine: should be applied on dry skin. If applying a toner, I wait for it to absorb completely. Then I apply a small amount of the serum and tap it lightly into the skin. I follow with The Ordinary Niacinamide 10% + Zinc 1%, a moisturizer and sunscreen. I use it in the morning. Niacinamide, Vitamin B3 blended with zinc salt of pyrrolidone carboxylic acid is a perfect serum for those with combination or oily skin, because it balances the production of sebum. It’s a gel-like serum that feels ever so slightly tacky after it’s applied, but moisturizer, sunscreen, or if you wish, a foundation, can be layered over it without peeling. My skin definitely looks more matte when I use. The trick is not to apply too much. Sample routine: toner, Alpha Arbutin 2% + Hyaluronic Acid, Niacinamide 10% + Zinc 1%, moisturizer, sunscreen. I apply a small amount of the serum and tap it lightly into the skin. I use it in the morning. Please note Niacinamide 10% + Zinc 1% shouldn’t be used with the topical Vitamin C serums such as The Ordinary Vitamin C Suspension 23% + HA Spheres 2%. The Ordinary Magnesium Ascorbyl Phosphate Solution 10% completes my trio of brightening serums. This is a stable derivative of Vitamin C in a water-based cream. It can be used with the Niacinamide serums, which makes it versatile. For my skin it’s moisturizing enough to skip a hydrating lotion, but if your skin is dry, it won’t be enough. Sample routine: I usually use it during it in the morning. Toner, Alpha Arbutin 2% + Hyaluronic Acid, Niacinamide 10% + Zinc 1%, Magnesium Ascorbyl Phosphate Solution 10%, moisturizer (sometimes I skip it), sunscreen. It’s a peptide serum in a hyaluronic acid base. Studies on peptides in skincare suggest that they can increase collagen production and reverse some signs of sun damage, but it’s hard to evaluate the claims. All I know is that this gel-like serum keeps my skin soft, hydrated and radiant. It’s especially convenient when I travel, because I can only pack my bottle of Buffet, along with a couple of other basics. Sample routine: I use it either in the morning or in the evening. The Ordinary recommends applying Buffet on clean skin, so I skip the toner. Buffet, moisturizer, sunscreen. Or in the evening, Buffet, Retinoid, moisturizer. If you want to combine it with any Vitamin C serum, be sure that Buffet is absorbed completely before applying Vitamin C.
For a light but ultra-hydrating serum, Hyaluronic Acid 2%+B5 is ideal. I’ve used several different hyaluronic acid serums, and I keep returning to The Ordinary and Mizon. Sample routine: Hyaluronic Acid 2%+B5 can be used on its own in place of any other serum or after my serum of choice (any of the above, for instance). A simple morning routine is rosewater, Hyaluronic Acid 2%+B5, moisturizer and sunscreen. A sample evening routine is AHA, BHA or lactic acid exfoliating lotion, Hyaluronic Acid 2%+B5, moisturizer. Retinoids and Vitamin C are the two ingredients that have been proven to reverse sun damage and firm up the skin (by increasing collagen production). The downside is that retinoids can be irritating and unstable. The Ordinary’s is a very good formula, and at 2% it’s strong enough without being too irritating. They also offer the 1% Retinol, which I haven’t tried. First time users: If you haven’t tried a retinoid before, you should start with one evening a week for a month and slowly build up from there. Sample routine (evening only): rosewater, Vitamin C. Wait for 10 minutes and apply Advanced Retinoid 2%. Wait for it to absorb and apply any hydrating serum, moisturizer, face oil, etc. Another option is Buffet, Advanced Retinoid 2%, Hyaluronic Acid 2%+B5 (optional, but good for extra hydration), moisturizer. I’d written a guide on Vitamin C a couple of weeks ago, in which I talked at length about why I love Vitamin C Suspension 23% + HA Spheres 2%. Out of all The Ordinary products I’ve tried, it’s probably the one that gave me the most dramatic and visible results. My skin looks radiant when I use it on a regular basis. The texture is slightly grainy, and it can be hard to apply. I recommend using a pea sized amount and tapping it lightly into your skin. First time users: Vitamin C Suspension 23% + HA Spheres 2% will sting the first time you apply it. I recommend diluting it with your moisturizer and using once a week in the evening at first. Once your skin starts adapting, you can use it straight out of the tube. My favorite routine for the evening: Vitamin C Suspension 23% + HA Spheres 2%, Hyaluronic Acid 2%+B5 (optional, but good for extra hydration), moisturizer. Avoid using it with any concentration of Niacinamide. Supposedly it reduces dark circles and puffiness around the eyes. It does absolutely nothing and I dislike the tacky texture. It also leave a white film on my skin, even if I use a small amount. If you’ve tried The Ordinary, I’d love to hear what you’ve tried and how you’ve used it. Sandra: I love reading about these products! I haven’t tried Ordinary, but as soon as I am close to finishing what I have, I will purchase. Thank you for reviewing these and you should post some photos of your beautiful skin, so we can see the real results!! sandra: Yesterday we celebrated. It was nice with my two little ones! We gathered with other families and besides the colorful powder, we all tossed flower petals in the air and at each other , and we got sprayed with rosewater. Lots of very loud Indian music! Afterwards we ate Shiro, samosas and drank tea. We also took the babies to watch some Bollywood dancing. Sandra: I placed my first ordinary order over the weekend. I ended up getting 3 products so I can get the free shipping. Victoria: Fingers crossed that you will like them as much as the rest of us did! Sandra: I will give them a try, they carry that line at some pharmacies here in NYC. Sometimes, when I am in a pinch to leave I just use a small pump full of Eucrin lotion, their non scented for dry skin. But it is suppose to be for the body not your face. But I have never reacted or became irritated from it. Do you find when you use the Vitamin C in the evening your skin is really greasy? Eudora: Dear Victoria, thank you so much! My skin is sensitive and combo also and my main concern is acne scars and pigmentation from suffering adult acne. Scars are my obsession. Very good info because I was lost in The Ordinary world! Second, I want to share with you the best serum I have used. It is Pai’s rosehip oil. I am using just two drops at night plus three drops for neck and decollete and the results are sooooo good. It has vitamin E and it has contributed to a significant reduction of my scarring and a visible improvement in my overall skin texture. My fine wrinkles -I am 41 years old- are also much better when I wake up at morning. Only 1 product, a few drops, is enough! I am really impressed! And third -maybe I am asking too much and this is not the right moment- I have an answer. I haven’t found a foundation or bb cream that works well with my combo, sensitive and uneven skin. All of them look no natural on me. If you have any suggestion… I am tired of creams and thinking in a good powder foundation but open to everything. sandra: I have sensitive skin/uneven skin and have some good luck with Iope bb cream cushion. I am afraid to confess that I use Vitalumiere Aqua Ultra light and in the hot months Perfection Lumiere Velvet smooth. I know I know..these are a lot of money..but I don’t use them all over my face just in the areas where I need it. It doesn’t irritate and looks natural. sandra: I little goes a long way! I also find that you can layer it when you need to conceal a blemish or a problem area on the skin. Eudora: Thanks Victoria for your recommendation on Vitamin C. I will re-read your post about it. I do not use retinoids either. ABout sunscreen I am using and loving Isdin Fushion Water thanks to you! Eudora: Dear Victoria, I am living in Spain so I buy it in my pharmacy, 2 minutes from home and with discount. I would be delighted to send you a next bottle because I am so grateful to you. Contact me in that case, please, no doubt. Eudora: Victoria, what a coincidence! I always avoid scented skincare because my skin is so sensitive but I love its perfume also, so elegant it is a pleasure to use, and that texture, so light it dissapears leaving your skin like velvet. Victoria: Now, a good foundation. The only one that look natural to me (on my combo skin) is Laneige cushion. I usually use it in the evening or if I have a photo shoot, and it looks natural both in the artificial light and on film. But I don’t really know how well it holds us day to day, because I don’t use foundation and wear sunscreen instead. mj: Thanks to you Victoria, I’ve been using the Ordinary line for 6 weeks now. It’s a bit earlier to see great changes, however I have noticed that some sun spots I have are a bit softer in colour. Also I love the feel of my skin after using The Buffet, that i use every night. I bought the caffeine serum for the eye bags, and I have noticed an improvement: my eyes are less puffy. morning after toner (orange blossom by Alquimia a Spanish brand): Niacidamine 10%+Zinc. Then the Hyaluronic serum for extra hydratation + mosturizer with spf. night: after Missha’s Time Revolution Essence (this contains Niacidamine), Buffet and a bit more of the hyaluronic serum. the caffeine serum I use it mrorning and evening, after the thicker creams. sandra: I looked up both of those spanish creams and they look good! McRuggles: I like The Ordinary caffeine eye serum. I’ve applied it, lightly, at night only, and it really seems to minimize morning under-eye puffiness. Victoria: I mostly ordered the same serums that I used before (Vit C, Retinoid, Hyaluronic acid), but back then their line was also smaller. They have lots of information on their website, but as I was mentioning to someone earlier, one still needs to research on one’s own. Liliane Oyen: Thank you Victoria for sharing this wonderful article. Sorry I will learn it but it is not clair for me. McRuggles: We have two cats who, given a chance, will lick pure argon oil off of anyone’s skin. Victoria: Yes, that’s how it is. Don’t use too much, though, and tap it into your skin with your fingertips (rather than rub it in). The texture is the reason I prefer it for the evening. Wilma: Thanks so very much or all the information, Victoria. Your blog has been such a great help in finding my way in the world of perfume, and now in skincare as well. I just ordered the vitamine C cream and the retinoid serum, and I am dying to try them out. Wilma: I especially like the moisturizer and the suncare. Recently she developed a Vitamin A serum, but I haven’t been able to try it out yet because it was very quickly sold out. Austenfan: Thanks for such a comprehensive review of The Ordinary. I’m a convert, though I haven’t used any of their stuff for long enough to be able to have an informed opinion. I like their Buffet a lot. And another hydrator that I haven’t seen mentioned a lot is their Squalane. For really dry skins, it seems to work better than hyaluronic acid alone. Victoria: Squalane is one of the best ingredients for dry skin. You don’t even need much of it, a drop or two. For my skin it’s far too rich, so I avoid it in creams. But I’ve used pure squalane from a pharmacist to add extra richness to my eye cream, and it worked well. I also used it to enrich my usual body lotion. Austenfan: My dark circles are definitely to do with lack of sleep as well. Still, a girl can always dream right? And it’s still better than claiming that it will activate cell energy, or whatever. I love the Squalane, as the added richness is often what I need, and only hyaluronic acid is not enough. Victoria: I like the texture of the Hada Labo one more, because it absorbs instantly and doesn’t leave any sticky finish. TO’s is slightly tacky and if I’m not careful and overapply, it makes my sunscreen peel. I alternate between the two. Right now I’m onto my new bottle of Hada Labo. It will be better for the summer, I think. Austenfan: I only ever buy perfume with noble ingredients, because I’m worth it. Victoria: LOL! And I just imagined you toss your hair as you said. Austenfan: Lune Rouge, Festin d’Or, Montagne de Jade, Weddding Impérial, Earl Grey d’Or, Earl Grey Provence, Parsifal, Narcisse, Chandernagor and Marco Polo. Austenfan: It’s a smoky tea with flowers. Very bold. I love Hada Labo, and now I even bought their milk for light summer days when a moisturizer before SPF might be too heavy. Victoria: Oh, what a great idea! I will do that too. Thank you for sharing this tip. I don’t know certain creams seem to help my skin. But I’d like to simplify. mj: my experience is that the best anti-aging cream is a tube of mosturizer with sun protection. Lily: I went through their whole product line yesterday and made a list of everything I was interested in, then chose a few to start with that did not have a direct overlap with something currently in my cabinet either as a staple, a one-off I liked enough to finish if not re-purchase, and samples. My biggest interests were the tone balancing/spot fading and general anti-aging/hydrating stuff. I have pretty balanced skin, though I tend more to oily than dry, at least in this climate (southeast US). Had a shortlist of about 10 products that appealed. Ended up ordering the Vitamin C suspension, HA, Niaciamide, and the alpha arbutin. If I like these I might try some of their other products later on. Victoria: I think you’ve picked the right products to start with. It will cover most of your concerns as you mentioned above, and it doesn’t make sense to use more than this in a day to day regimen. Maybe also a retinoid later (evening only, sunscreen during the day is a must). Lily: Thought I’d offer initial impression after having used for 2-3 weeks now. 1. My skin is starting to look a little more radiant, maybe a bit more even. (The biggest uneven pigmentations are chin from Rosacea and a couple red marks from a run-in a couple months back with a hidden silicone that caused a cyst on each cheek). They aren’t gone but the contrast seems to be lessening. 2. The vitamin C was not as irritating as expected. I guess I felt a vague sting the first application but none since (have used 4x). It also absorbed easier than I expected after all the comments about its graininess. I would only ever apply at night tho, Bc it is a not-SMOOTH texture…just not as rough as I was expecting. 3. I have not yet tried the Niacinamide, I wanted to make sure the others (but c and alpha Arbutin) didn’t bother me, and give them a chance to do their thing before adding a third serum in the mix. 4. I honestly can’t tell if the HA is doing much for me or not. I don’t use it nightly as it feels like too much. My skin doesn’t lack for hydration, though, and the skin cream I use (ponds with the blue cap) is full of fatty alcohols and light oils that my skin soaks up quickly but without feeling heavy. So I don’t know how much benefit I get from the HA anyway. minteacup: Thank you for the serendipitously timed review- I’ve been browsing The Ordinary’s site for a few days off and on now. kpaint: I find a lot of the website’s copy to be odd. There’s also some snarky verbiage about using the term “Buffet” for a skincare product, yet they sell a product named just that. Andy: I do think they could improve the copy on the site, but overall, I’m pleased with what’s inside the bottles and tubes for the price. Skincare can be complicated, especially when you start getting into actives that work/don’t work in combination, etc. If I’m remembering correctly, some companies like Paula’s Choice tend to be dismissive altogether of the idea that certain products will “cancel each other out” if used together, but I’m no expert so I usually just make an effort to follow the advice I read if it sounds good to me. Certainly, part of the reason I even take the time for skincare is psychological; it simply brings me pleasure, and for that reason alone I try not to worry too much about improperly combining products and whatnot. There was definitely a bias against their making actual recommendations. I wonder how much of that is FDA type concerns (if they are a different kind of company than a major cosmetics co in terms of how their effectiveness claims would be evaluated), or if it is the difference between US law and Canadian. Andy: I like the research angle too, I find it more helpful than anything to have some scientific information at hand when purchasing a product. Nina Z: Haha, I read this post twice and I still feel confused. I’ve been using a bunch of Paula’s Choice products and layering them, having no idea what I’m doing. I tend to alternate nights, having a Retinol night and a Vitamin C night. (I’m older with thicker, acne scarred skin and larger pores, some brown spots, a few deep wrinkles.) My skin seems to love exfoliation, so I alternate using an everyday glycolic acid in the morning and every other evening the 2 percent BHA salicylic acid. Now I’m seeing stuff about niacinamide. Nina Z: Thank you so much, Victoria! That’s very helpful and I will give your recommendations a try. kpaint: Thanks, Victoria, for using and testing this line so you can translate it for us. After reading your vitamin C post I checked out The Ordinary’s website but got so frustrated trying to wade through their nonsensical and utterly un-helpful product info that I gave up. 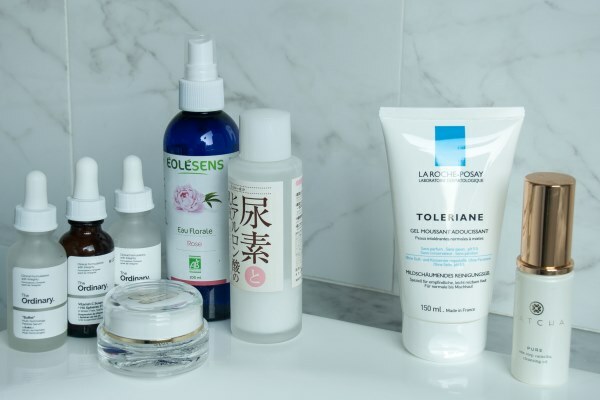 Their “Regimen Guide” provides no clarification at all, and appears to be unfinished – unless they really only recommend their products for people with general signs of age, pigmentation issues or dehydrated skin? Since I’m almost out of my usual vitamin C and retinol sera, I went back to buy some of theirs since it’s so inexpensive, and ended up spending hours reading and re-reading copy on all of their sites to try to figure out what I should buy. It’s not me, it’s them. I am a major skincare junkie. I read blogs, skincare websites, shop for, buy, and test products all the time. I know what my skin needs, what my skin likes, and how to build a routine. I also know what to avoid and what doesn’t work for me. But I can’t choose products for my skin based on scientific studies and technology, or even ingredients lists. Finally, perhaps a sentence or two about how it functions on the skin, not in a test lab, like you’ve done in your post here. I don’t need anything long or complicated. “A light but ultra-hydrating serum” or “a perfect serum for those with combination or oily skin, because it balances the production of sebum” tells me what I need to know. Again, thank you for providing some direction! Sorry for the rant, but the entire website desperately needs some writers who know how to talk to end-users. It could also use some reorganization. + HA Spheres 2%, and Magnesium Ascorbyl Phosphate 10% 30ml. I don’t need 2 vitamin C products, but I did want free shipping, and that combo got me to $25. I don’t have so much issue with their explanations of the products themselves as with the instructions on how to use several products together. For instance, what is the right way to use the Vitamin C and with what? They don’t even offer a sample regimen for it. I ended up emailing their customer service, and that’s how I learned that I should apply it on dry skin and wait for a few minutes before using anything else. I use NIOD range also and love it. I use the 1% copper peptide and also their hyluronic acid (MMHA for short). I have also tried their Vit c.
So here is what I think: first of all, the range is more expensive, but not exhorbitant. 30 ml serums are around $60 CAD. NIOD stands for non-invasive something something. Bottom line, this range is more about subtler (but still effective) products without too many acidic solutions. According to SA, the Hyluronic Acids between OC, Hylamide and Niod differ in number of types of HA in them: 2, 5, 12 respectively. And NIOD’s has the lowest molecular weight which means it is supposed to penetrate the best. For me, it was a decision based on texture preference – I prefer NIOD’s and I need only a few drops so a bottle lasts a while. Copper peptides are interesting. I wasn’t sure they were doing much until I realized my skin is recovering much faster from Retin-A than it did before. And when I spoke to some people, they confirmed that this is one of the key roles of peptides, to help skin recover faster, much like younger skin does. So, you may not see wow factor from this one on a day-to-day basis, but your skin will be healthier overall. NIOD’s Vit C is ethylated ascorbic acid of 30%. I am not using this one as I use Hylamide’s 25% (similar formula), again a texture preference over OC’s 23%. Not sure I absolutely need NIOD’s 30%, so I am sticking with Hylamide’s which is about $35 for 30 ml (still very good price). Overall, my skin seems bouncier since I started using the range and my cheeks a bit “fuller”. I’ve always took care of my skin, but there is no doubt that this line contributed lately to improvements. I am currently using they Alpha Arbutin and it seems effective, however I may need more help..
Victoria: I haven’t. That’s the only one I haven’t used, because my skin tolerates the Vitamin C serum well enough, and it’s supposed to be the most effective version. But it can also be irritating. CristinaM: Now I do, but in the past I didn’t..wish I had known better. I thought Azelaic acid was better indicated to lower the appearance of sun spots, and it is included in one of the routines listed on The Ordinary website. but I take your word for it. Understanding all the ingredients can be confusion for womeone without a chemistry backgroud..
Civil to strangers: I’ve been reading your blog religiously for over a year and this is the fest time I’ve left a comment because I’m so excited. I found out about this line from your post on vitamin c serum, googled, saw they had a storefront near my flat and promptly picked up a few things. I haven’t tried any of the vitamin c serums from them yet as I have 1/2 of a Paula’s Choice one on the go. I got the advanced retinoid, that I’ve been using every other night for the past 10 days, no real noticible difference yet but it’s easy to apply, has a nice texture and no scent. I also got the hyaluronic acid 2%, which is really nice under my sunscreen as Toronto has been biterly windy and cold lately. I’ve also been putting it on my lips, under a lip oil and then a heavy balm – my bottom lip tends to be so chapped that barrier lip balms are never enough but this layering has really cut down on the peeling and flaking. As a base layer, it makes matte lipsticks comfortable for me, a first. I also got the argireline solution and the HA Blur from their sister brand, Hylamide. Again, with the argireline serum, it’s too soon to see results but the Blur! It makes my skin look perfect, as if I’ve been airbrushed. I’m 39 with normal skin but an oily t-zone and some acne scars and this product makes my skin look flawless while being so much easier than foundation. No shine, minimizes pores and scars and makes me look smoooooth. Victoria: Thank you for your comment and welcome to Bois de Jasmin! Your experience and extra tips are very helpful. You introduced me to this line and I love it!!! I use Niacinimide, Alpha Arbutin, Vit C, 2% retinoid, lip plumper, rosehip oil, caffeine eye serum (agree that this one doesn’t seem to do much, but I love all the others!). Also bought from their sister company -Hylamide – the face cleanser and toner (especially love the toner) and from Niod copper peptides and HA (prefer HA with a more “watery” consistency over gel). I also bought Hylamide’s Vit C just because I prefer the texture more over the OC’s grainy one. Hylamide range is just tiny bit more price-wise, but they also have great products. Victoria: Thank you for your update! I’m so happy to hear that you’re pleased with your discoveries. kayliz: Thank you so much for this article, Victoria! At, erm, over 50 and after a trying few weeks I was feeling, and looking, grey and tired, so I took your post as my cue and ordered Alpha Arbutin, MAP, Vit C spheres, Buffet and Advanced Retinoid. I used all except the Vit C spheres over the last 2 weeks and am very pleased with how they have made my skin feel and look. t4sh: thanks for ur post! this was the first post ive read on ur blog but will be browsing more on ur previous posts. Victoria: I would definitely start with Arbutin and Niacinamide. They’ve done wonders for me skin that’s also spot prone. Then, I urge everyone to try experimenting with a Vit C serum. Out of all active ingredients, it’s the one (along with retinols) that has been proven to regenerate collage and reverse sun damage. While this may be an issue for you, Vit C will also help making your skin brighter and more radiant. There is a separate Vit C guide on this blog, with more explanations and directions. I have been searching the net upside down and then i came across ur article as well, read thriugh all the comments too but no luck, i am on my 7th week of retinoid 2% started with twice a week n coming to 5 times now but eversince i have had severe cystic acne which my skin never had! Anybody experienced this??? I am using the ordinary Buffet + retinoid 2%+ HA together in night routine ! Victoria: Purging can continue for 6-8 weeks, and stopping now is not a good idea. These are not new pimples, but the ones that have formed already and made more obvious when you’ve started on retinol. You can scale back on retinol, but don’t stop it completely. Another aid to make acne disappear quicker is to spot treat it with benzoyl peroxide (I used a 5% gel). You can use it first thing before any other product just on the spots. The only caveat is if you have skin tone darker than olive. Benzoyl peroxide might cause hyperpigmentation. Toni Lee Carroll: My skin has never feel better, and I can’t believe the cost, this kind of product would be out of my price range. Meemz: Would you know if it is ok to use the Retinoid 2% and Arbutin together? I have a laugh line around my mouth that I really want to get rid off (that’s why Retinoid) and pigmented sun damage spots on my face (Arbutin). I’m feeling so inspired but still a bit confused. I’m unsure how to use what I currently have and what to potentially add. My skin is currently dry, especially around my nose (perhaps due to product?) and I have pigmentation. I’d like to add a Retinoid or Retinol..not sure which. (I am 32 and seeing new wrinkles and the beginnings of a soft neck! Also considering purchasing the Vitamin C Suspension 23%+ HA Spheres 2%, the Buffet, and Squalane. Camila: Hi, I´d like to ask you if the order i´m using the products is correct: After I cleanse my skin in the morning I apply Buffet, then Nicinamide+Zinc, then Magnesium Ascorbyl Phosphate, after that I apply Squalane and sunscreen. Is that ok?